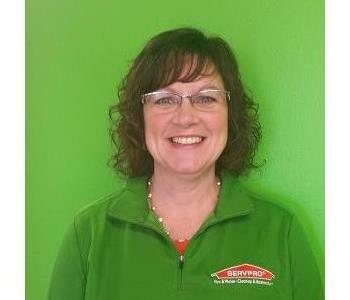 Debbie Robeson wears several different hats for SERVPRO of Black Hawk County, which is located in Waterloo, Iowa. 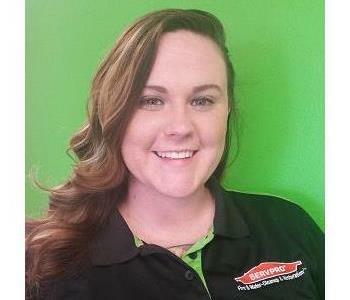 Both as marketing manager and representative, she focuses her attention on education and purposeful promotion of SERVPRO services. Creative and intentional gifts that leave lasting impressions of SERVPRO’s sincere care is what her circle of friends throughout many cities appreciate. Providing solutions through storytelling, she easily sells her SERVPRO team’s skills for cleanup and restoration. She enjoys living up to her nickname "Smile Supplier" by connecting individuals to resources they need in ANY sort of circumstance. At her church she works in the kitchen, leading cook teams and also coordinates volunteers for children with special needs to participate in Sunday school. Digging in the dirt (gardening) and entertaining family and friends is what fills the free time she pulls aside. Construction was the reason he came to Waterloo, SERVPRO of Black Hawk County is why he’s staying! Keiland Woodson, originally from Arkansas, joined family members in their business for several years in the Cedar Valley. When he decided to challenge himself more, he worked in several areas gaining additional skills. 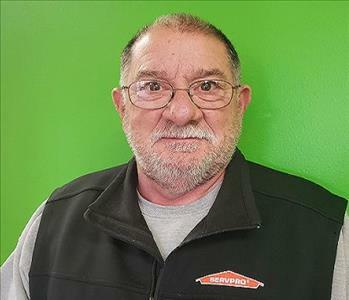 When he experienced the range of work at SERVPRO of Black Hawk County from water clean-up to demolition to restoration, he was happy to settle in. He enjoys his co-workers and the hard, honest work environment was just what he was looking for. Kicking back and relaxing at home is what Keiland likes to do and it’s a reason he wants to help others through SERVPRO’S work so they can get back to doing the same in their homes. He recently completed is Water Damage Restoration Technician (WRT) training and looks forward to continuing his education. Chris Laake serves as a production technician since 2012. He is experienced in demolition work. He has earned the Water Damage Technician (WRT) certificate from the Institute of Inspection Cleaning and Restoration Certification (IICRC). His quiet demeanor reflects in his total concentration on the work site. He enjoys reading science fiction novels. Chuck Frost has checked off many of SERVPRO of Black Hawk County’s ‘to do’ list items since joining our team in November. As Warehouse and Equipment Coordinator, he has organized and labeled the essential equipment that our production technicians use day in and day out. He supports the team by helping pack trucks, enabling them to get to our customers quicker. Tracking inventory, keeping equipment repaired and assisting our carpet cleaning specialist and demo crew, is what fills Chuck’s part time position. Outside of work, Chuck hunts & fishes and enjoys time at he and his wife Pam’s lake home. Family time with 2 daughters and son in law and his two granddaughter’s activities, including dance, is a high priority for him. He spends countless hours at his church in the kitchen planning, preparing and serving a variety of meals for families and ministry events. To round it all out, Chuck has volunteered on the Sturgis Falls Celebration planning committee since 2006. A person might not think landscaping or tree removal has anything to do with demolition of fire damaged buildings or clean-up of water destruction but for Adam Koch, it’s another chance to use his skills to help people! 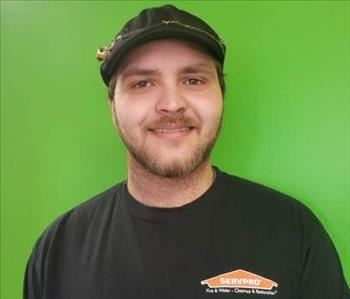 A production technician since 2018, with SERVPRO of Black Hawk County, Adam has proved his desire to clear out the mess to make it better by working quickly and efficiently with other team members. His constant smile lets you know he’s having fun with his ‘free physical workout’. Attending church, participating in Frisbee golf and playing ‘Sword Art’, a video game, fills time away from SERVPRO. He also enjoys cooking and would like to pursue culinary schooling which would let him satisfy that craving to benefit others in yet another form. 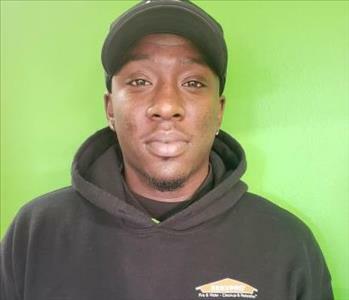 He recently completed his Water Damage Restoration Technician (WRT) training and looks forward to continuing his education. Libby Demuth's work at SERVPRO of Black Hawk County is behind the scenes but never unnoticed. She coordinates the office logistics and is the uniforms & supply manager. The white board in her office is a go-to-place to request necessary supplies to help every employee be successful in their work. Her attention to detail of the SERVPRO work attire not only assists employees to ‘dress the part’ but keeps the team seasonally fitting and coordinated. Libby also does the accounting and payroll in QuickBooks fulfilling that role since purchasing the franchise in 2012 with her husband Scott. Outside of work she enjoys their two daughter’s activities and family time. 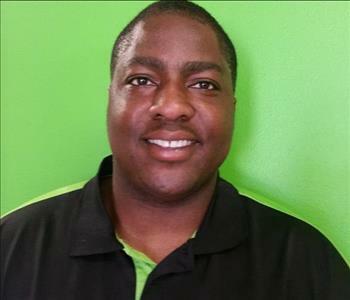 DeParis joined the cleaning technician team at SERVPRO of Black Hawk County in April, 2016. His 16 years of experience in customer service shows strongly while he cares and cleans items for individuals and businesses. He strives for perfection and enjoys the "before and after" in carpet cleaning. DeParis has been certified a Water Damage Restoration Technician (WRT) by the Institute of Inspection Cleaning and Restoration Certification (IICRC). Outside of work he spends time hunting and fishing and family activities. Nicole Webb’s determination for a constantly clean and orderly home started as a young child as she was continually rearranging and organizing her room. This determination benefits our SERVPRO customers’ homes and businesses TODAY! Her background in housekeeping, cleaning and customer service shine through in her everyday efforts to help restore and renew personal belongings that have endured a water or fire catastrophe. Nicole joined SERVPRO of Black Hawk County team in September 2017. 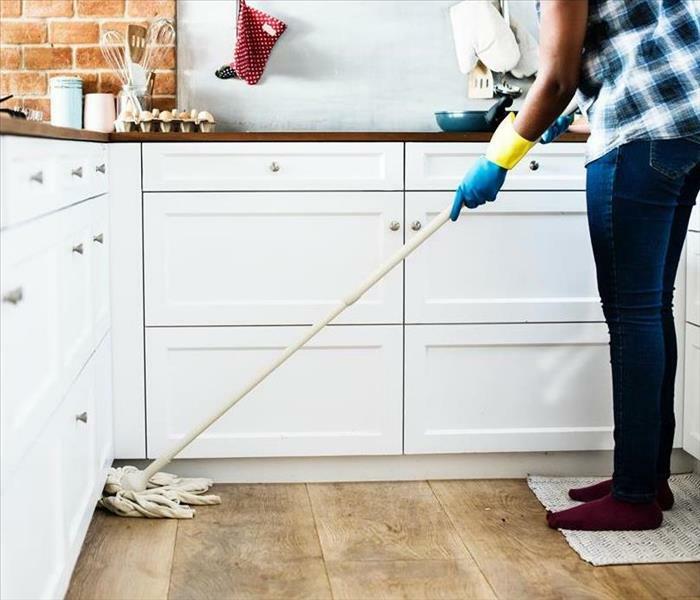 The most rewarding part of her job is connecting with home and business owners and helping them put life back together again. Nicole is certified as a Fire and Smoke Restoration Technician (FSRT) and a Water Damage Restoration Technician (WRT). Her free time is full of family, fun on motorcycles and fishing! Evan Meyer is a project manager and has been with SERVPRO of Black Hawk County since 2013. Evan has been certified a Water Damage Restoration Technician (WRT) by the Institute of Inspection Cleaning and Restoration Certification (IICRC). He has completed Amdecon CTS Decon Specialist Courses and is a Biohazard Specialist. Evan enjoys playing the drums in three bands. He likes growing vegetables, especially tomatoes. A former cross country runner in college, his dedicated attitude is appreciated by customers. 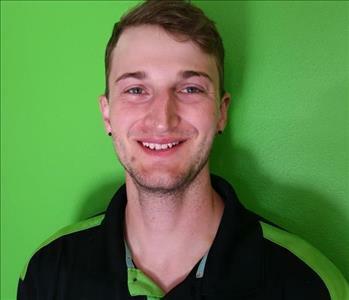 Devon Burgess joined SERVPRO of Black Hawk County in March 2018 as a production technician. Devon hasn’t wasted anytime discovering all the facets of cleaning up after a water pipe break or the steps in demolition after a fire. But it’s no surprise of his determination, for Devon’s naturally a ‘fix it’ type of guy. 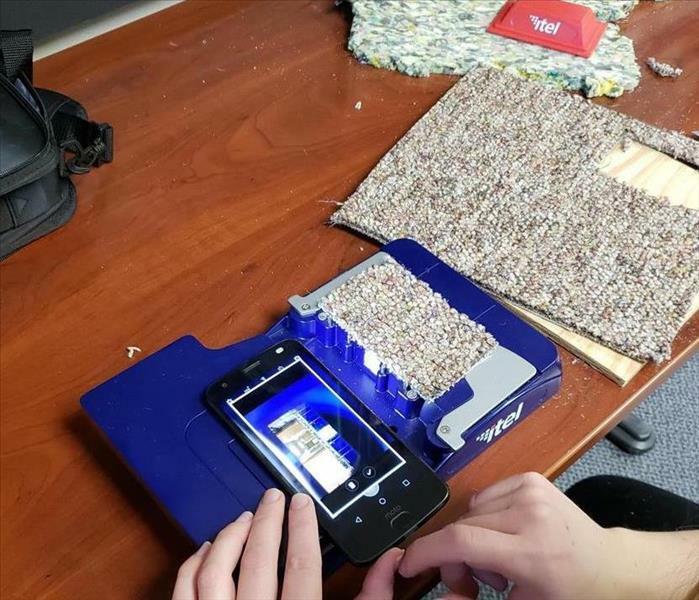 Learning from his mom to first try and figure it out, by taking it apart and identifying the problem before giving up, Devon has taught himself to repair and do maintenance especially on electronic items. 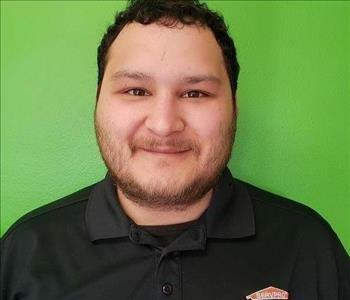 Recently leaving that field of work, he really enjoys the physical labor of SERVPRO’S mission and the gratification of helping people put it all back together again. At home he enjoys gaming, computer programming, and watching movies with his wife and two daughters. 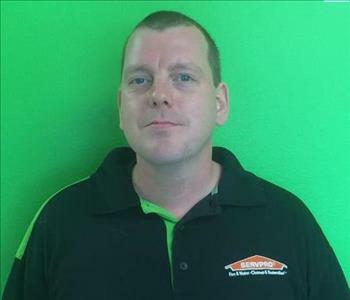 Brett Armfield joined SERVPRO in 2012. He is a Project Manager within the company. 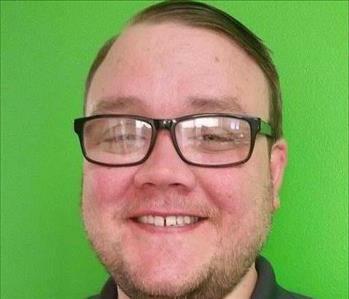 Brett has been through SERVPRO’s Employee Certification Training Program (ECTP), is a Water Damage Restoration Technician (WRT), and is certified in Applied Microbial Remediation (AMRT) by the Institute of Inspection Cleaning and Restoration Certification (IICRC). Brett’s passion for restoring “Like it never even happened®.” is evident in his daily work. Brett loves summer which lends itself to his hobbies of camping, grilling, floating down the river, and time spent on the disc golf course. Growing up all around the world, Brett's experiences with many cultures has created a greater knowledge and appreciation for differences in life. 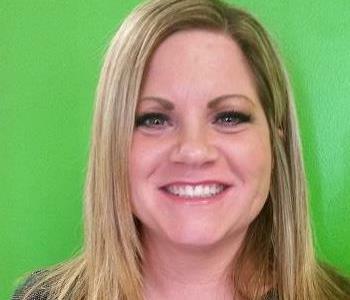 Lisa Lippert is the Office Administrator at SERVPRO Black Hawk County. She has been with the business since 2003. She is the friendly face behind the phone. Lisa wears many hats that keep the office running efficiently which include scheduling, invoicing, and auditing job claims. She has her certification from SERVPRO for DryBook Mobile. Outside of work, Lisa spends time with her family, fishing, watching football and baseball and gardening. 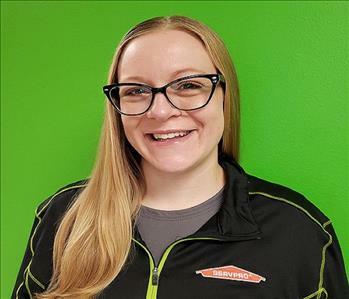 Nikki Prickett joined SERVPRO of Black Hawk County in August, 2018. She literally got her feet wet during the microburst rainstorm that left homes and businesses flooded in her position as Job File Coordinator. Working primarily with our project managers, she organizes the service calls and details of assignments. 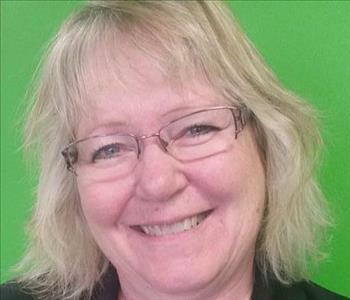 She is eager to help people in terrible situations with the SERVPRO team from Waterloo. Nikki’s past work experience built her knowledge in identity theft protection and expertise as a trainer in computer skills and customer service on the phone…which is even harder than in person! She is pursuing an associate of arts degree at Northeast Iowa Community College/NICC. Nikki has an extensive collection of Wizard of Oz memorabilia, since being a fan from an early age! Nikki’s golden brick road leads to her two children and miniature dachshund Coco, because we all know “There’s no place like home!”. Autumn Kelly is a cleaning technician at SERVPRO of Black Hawk County. She has been with SERVPRO since 2013 and has a background in janitorial work. Her eye for detail, patience and organizational skills make her a vital part of the team. Autumn has been certified as a Fire and Smoke Restoration Technician (FSRT). In her free time, she enjoys photography and camping with family and friends. 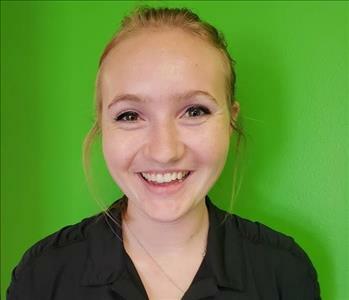 Emily joined the SERVPRO team as our first ever intern in May 2018. In just a few months of her internship, she dove in headfirst creating an online brand that represented our franchise. Starting in August, Emily will continue working with us part-time while she finishes her senior year at the University of Northern Iowa as a Marketing major with an Entrepreneurship minor. She participates in the student life team at UNI to promote involvement to all students making a more meaningful college experience. She has experience working in the John Pappajohn Entrepreneurial Center on the UNI campus. Emily joined Debbie in the Marketing Department, and together, they make quite the duo! While they both work hard together, laughter can always be heard coming from their shared office. In her free time, Emily loves exercising, boating, reading, and socializing.